Shailputri puja is performed for the self-purification of oneself. First, a Sankalp (vow) is taken by the devotees by taking water in the hands in front of the Goddess. The devotees then drink holy water through their palms and put a tilak on their forehead. 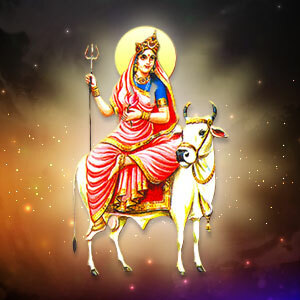 The devotees then offer camphor, mixed water, flowers, honey, ghee, cow milk, Panchamrit, sugar, and clothes or saree to the Goddess and worship her with supreme devotion to get her blessings.